New York: International Publishers, 1937. In the Union of Socialist Soviet Republics at the present time the anarchists no longer enjoy any influence over the masses. They are met with only as isolated individualists. The reason for this is the victory of socialism in the U.S.S.R. The old Russia, landlord and petty-bourgeoispeasant Russia, which fostered anarchism and gave birth to the founders of anarchism, those repentant aristocrats--Mikhail Bakunin, Peter Kropotkin and Leo Tolstoy--has passed away. 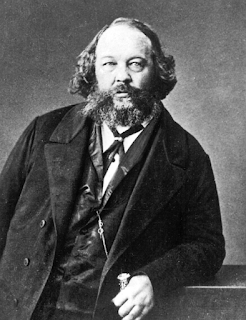 It will be of interest to compare this period in the life of Bakunin with the same period in the life of Karl Marx, the founder of the Communist movement. In 1847 Marx, together with Engels, drew up the Communist Manifesto, that first and most remarkable program of the revolutionary proletariat, which Bakunin later also admired, even to the extent of translating it into Russian. It was published in Russian by his disciple, Sergei Nechayev. As a fighting slogan for the Communist ManifestoMarx and Engels took the motto of the French workers: "Workers of the World, unite!" It is enough to compare this constructive, organizing, rallying, fighting slogan with Bakunin's bald appeal for destruction in order to appreciate the enormous significance that the appeal of the Communist Manifesto had for the whole working class movement. The writer of these lines spent 12 years in prison and in penal servitude in the depths of Siberia, and knows that those who addressed repentant confessions and petitions for pardon to the tsar were held traitors by the Russian revolutionaries and were boycotted by them. If the Russian revolutionaries of the 1870's and of later years had known of Bakunin's confession, many of them would have repudiated him. But Bakunin's adherents and he himself took great pains to conceal this fact. Bakunin's confession to Tsar Nicholas was published only after the proletariat, under the leadership of the Bolsheviks, came into power and opened the archives of the tsarist government. It is useless for Bakunin's biographer, the anarchist Nettlau, to shower contempt on those who censure this confession of Bakunin's. It is useless for Nettlau to attempt to explain away this petition by saying that Bakunin was writing to the tsar as his jailer, that there was no one else to whom he could write. This explanation is not true. The anarchists must acknowledge that Bakunin in this case did not display the endurance of a genuine revolutionary. The Russian revolutionaries did not write such petitions to their jailers as Bakunin wrote to the tsar when he had already learned from Count Orlov that he was not threatened with sentence of death. 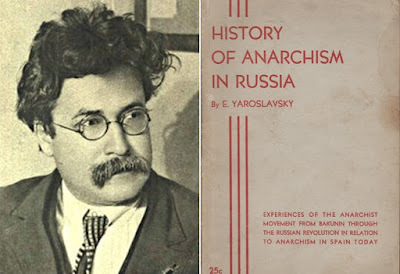 How, then, could Sergey Nechayev, a disciple of Bakunin, establish a strictly centralized organization and provide it with rules which were utterly in conflict with the official pronounced anarchist views of Bakunin on organization? 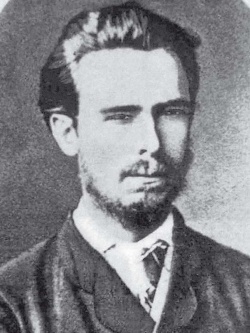 For decades Bakunin and all his supporters, including his private secretary, Armand Rosse (Mikhail Sazhin), concealed the fact that Nechayev's "catechism" was written by Bakunin himself. After the October Revolution Sazhin related that this "catechism," written in Bakunin's own hand, had been found among Nechayev's papers after the latter's arrest and had been burnt by Sazhin himself. This fact proves that to serve their ends, Bakunin and his supporters were prepared to create organizations so authoritarian and centralized as to crush the will and opinions of their individual members. Such was Nechayev's Popular Retribution, which was broken up by the tsarist government before it had time to achieve anything of importance. Nechayev was a consistent internationalist. His good points conflicted with the views of Bakunin.6But he copied Bakunin's mistaken anarchist views, which prevented him and his young contemporaries from evolving a correct view of the revolution and drove them into narrow conspiratorial activities. What did this attempt to "go among the people" show? It showed that Bakunin's idea that the peasants were the main revolutionary element in Russia, born socialists and rebels, was groundless; that Bakunin's theory that the peasants were opposed to every form of state was wrong. The strenuous efforts of the revolutionaries were wasted without benefitting the revolution. Bakunin's theories not only failed to direct the Narodniks along the right road, but actually diverted them from the more correct road which Chernyshevsky had previously called upon them to follow. Besides, Bakunin preached that a struggle for political liberty was superfluous, for such a struggle would only distract attention from the socialist ("social") revolution. He thought that Russia would go straight towards the socialist revolution, without going through the stage of the bourgeois-democratic revolution; that every form of state would be at once destroyed and anarchist society ushered in. This doctrine misled those who took part in the movement and was undoubtedly harmful.